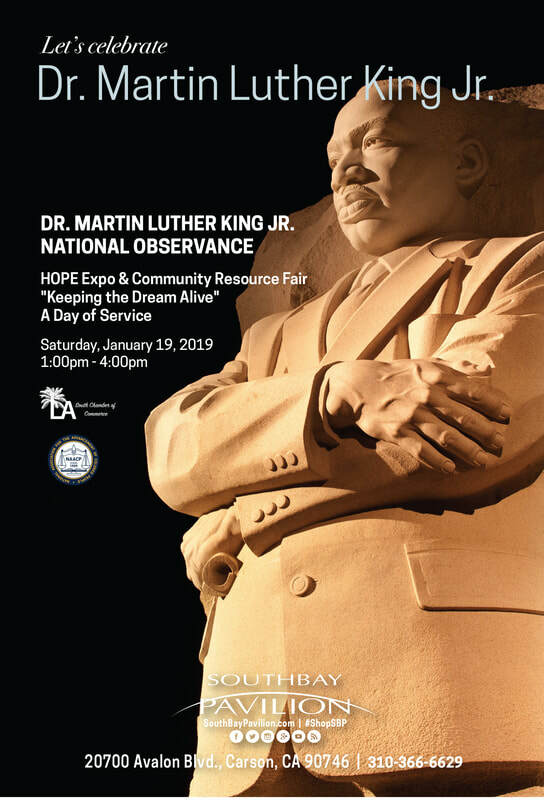 The L.A. South Chamber of Commerce “King Week Celebration” honors the life and legacy of Dr. Martin L. King Jr. This year, our theme is “Keeping the Dream Alive, A Day of Service”. Our mission is to Engage, Educate, Empower, and Inspire Hope to build a better community. Our goal is to collaborate with our members, and community partners to continue the work of Dr. Martin L. King Jr. by promoting entrepreneurship, financial literacy education, and advocating for social & economic justice. Make a resolution that counts!